Bank of America has just warned Tuesday that the US dollar is overvalued, and there are ‘substantial risks’ from here. 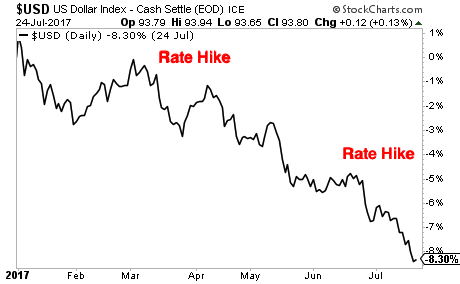 The Dollar has fallen 8 precent since the beginning of the year even after the Fed has raised rates twice. 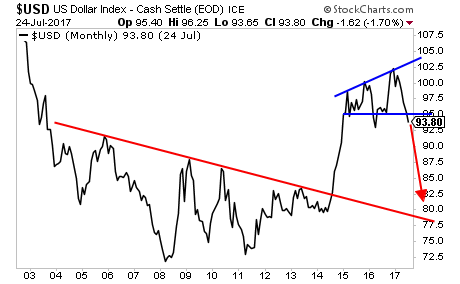 What will happen to the dollar if they stop raising rates? Wall Street is even worried about it. For the first time in more than a year, traders are betting against the US dollar. Be prepared.